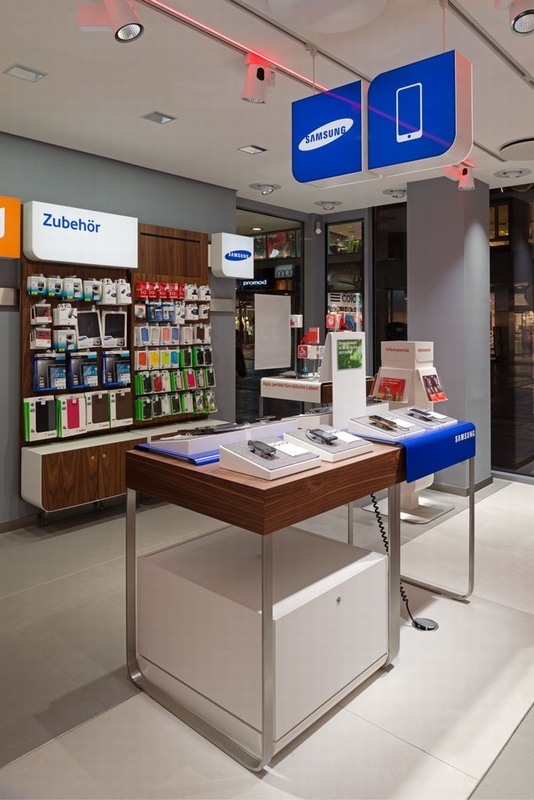 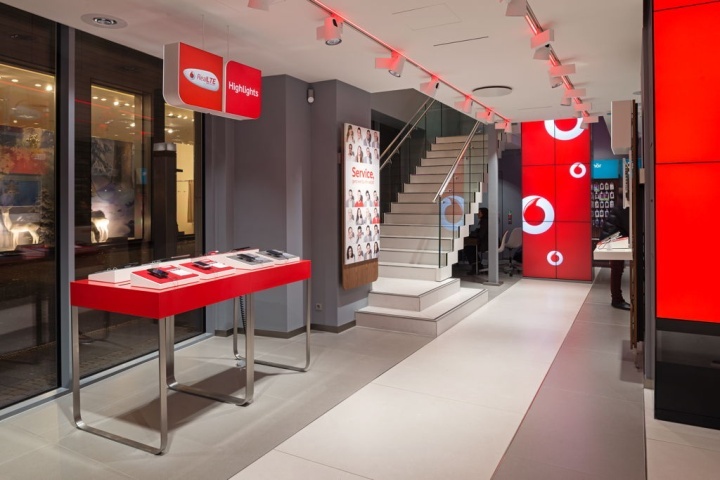 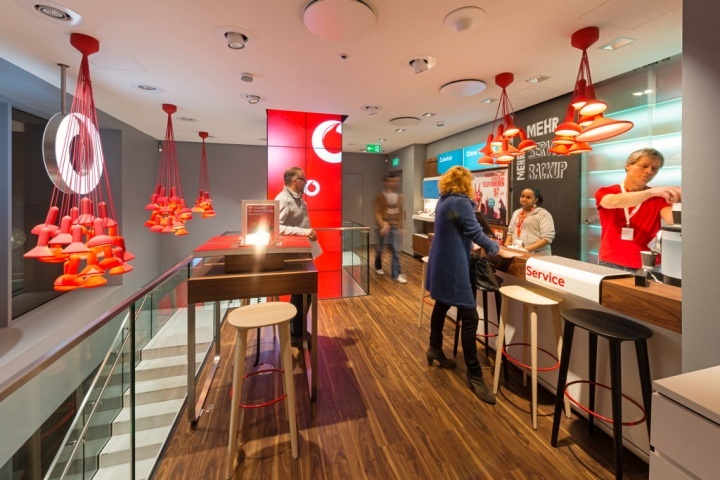 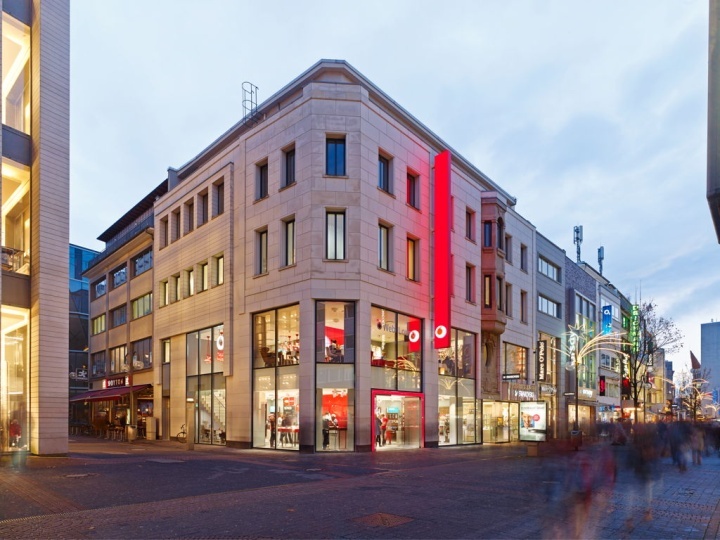 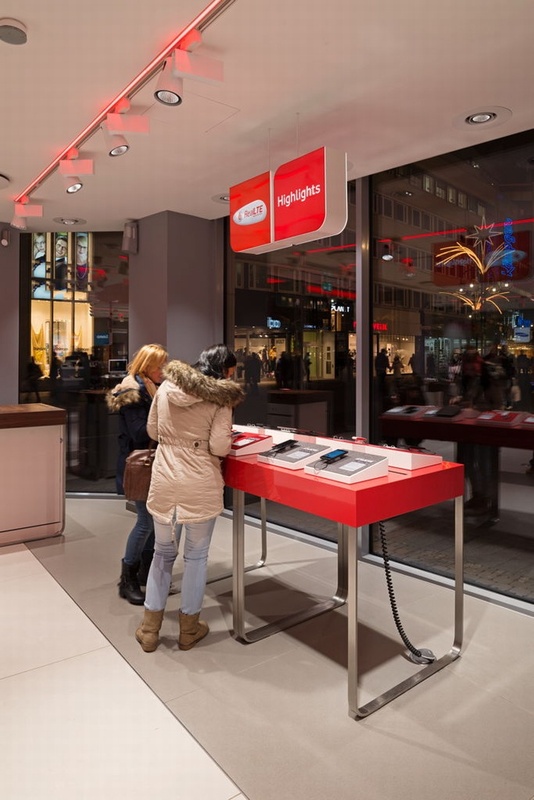 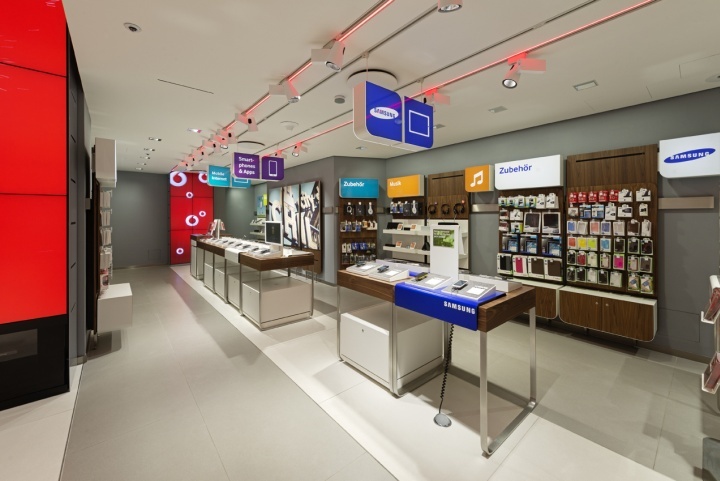 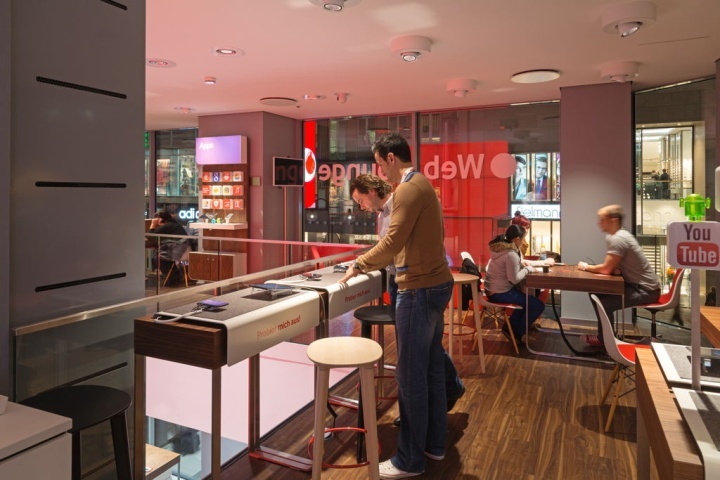 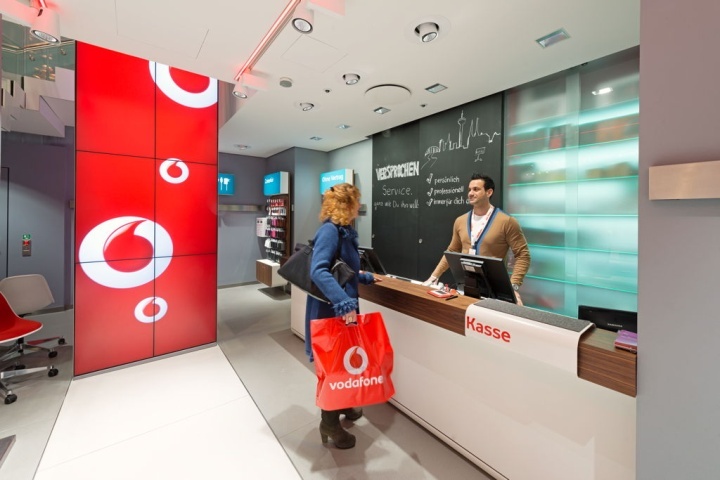 The Vodafone Flagshipstore in Cologne defines the core of the Vodafone Brand personality with service for all customer needs manifested in a holistic brand experience. 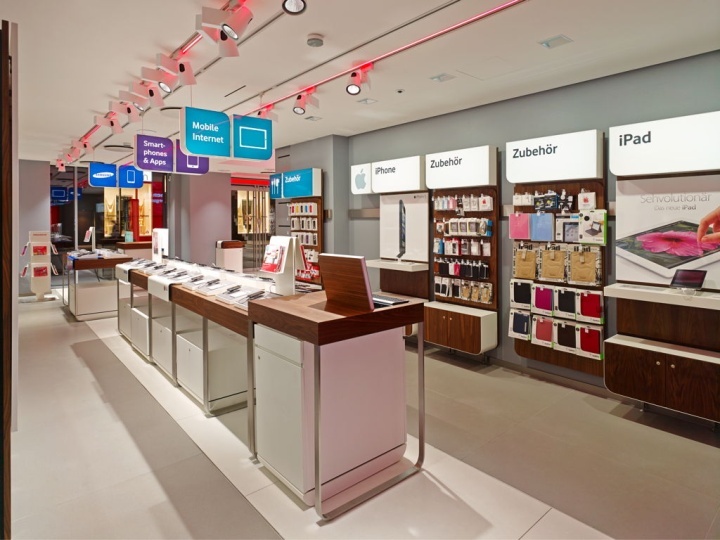 A brand new approach for the customer journey offers a great experience from a welcoming gesture, interactive browsing, creative consultation, to leaving the store with an (inspirational or positive) lasting impression. 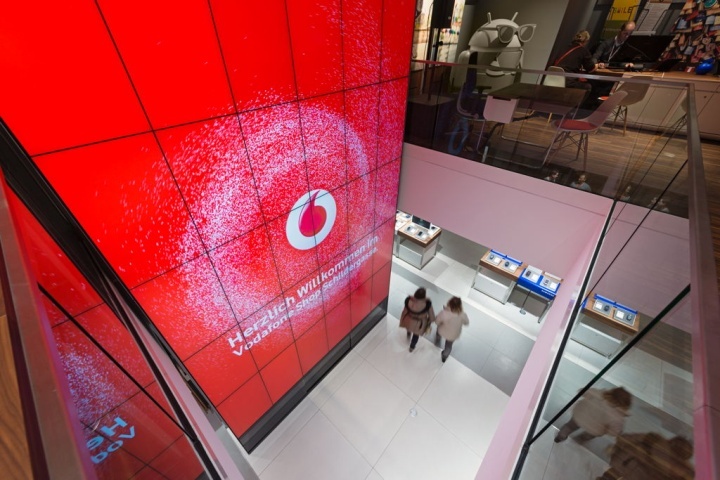 In its centre, as a focus of the overall space concept, a digital interactive Brandwall was developed which stretches over two levels. 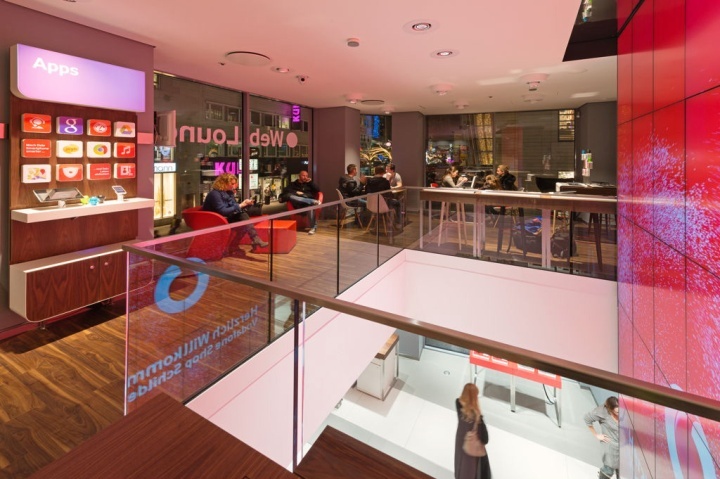 It connects two worlds and changes the entire atmosphere through dynamic and interactive media content. 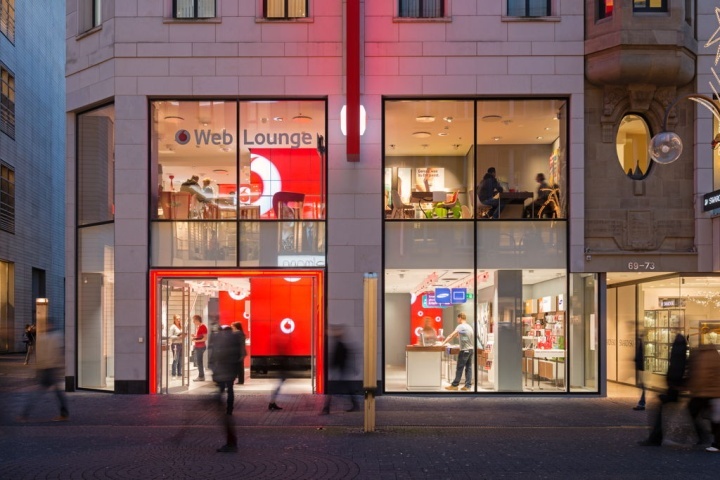 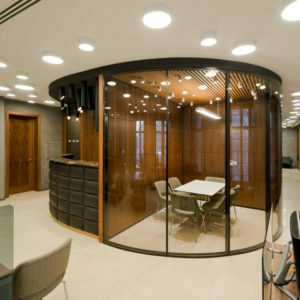 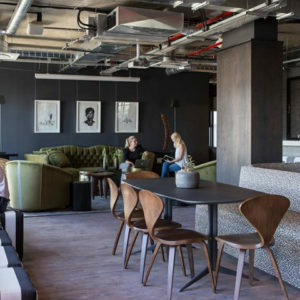 On the ground level, live interactive product presentation, and on the upper level, a more intimate and detailed experience, with the enjoyment of a cup of coffee in the customer lounge. 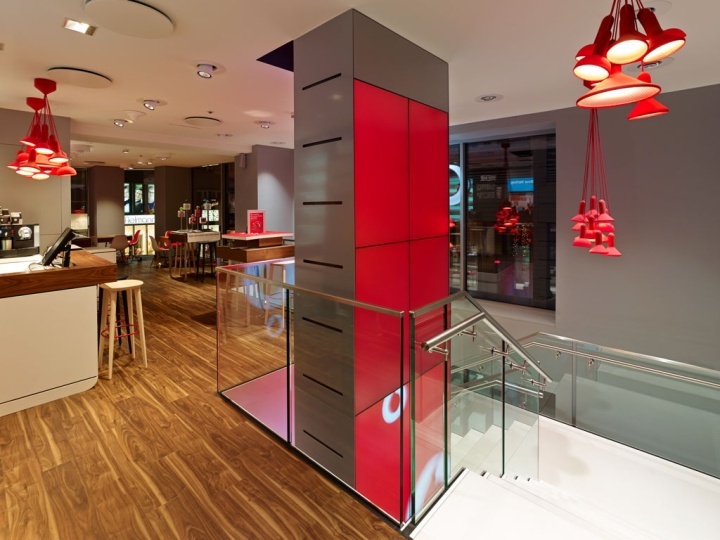 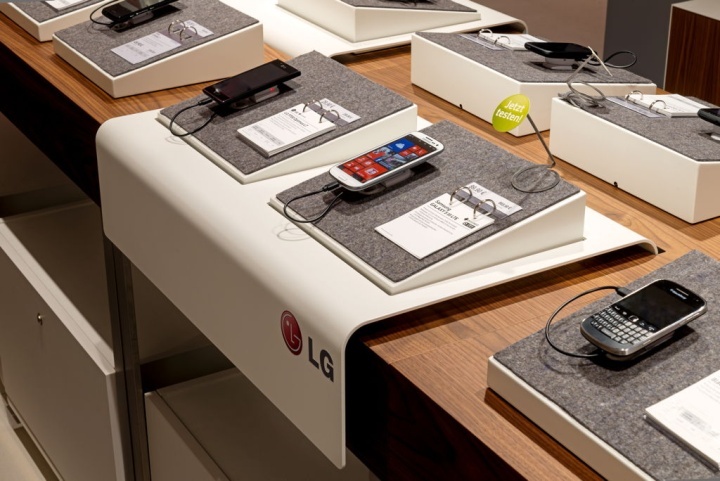 A modular retail system was developed to showcase products and to create an environment for consulting. 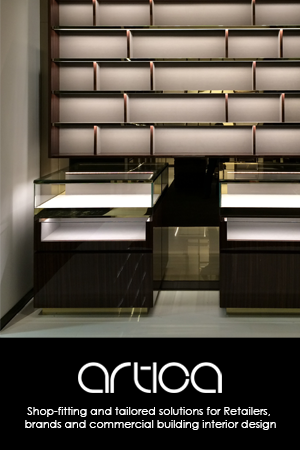 Bespoke tables are arranged in a workbench style, populated with various communication elements. 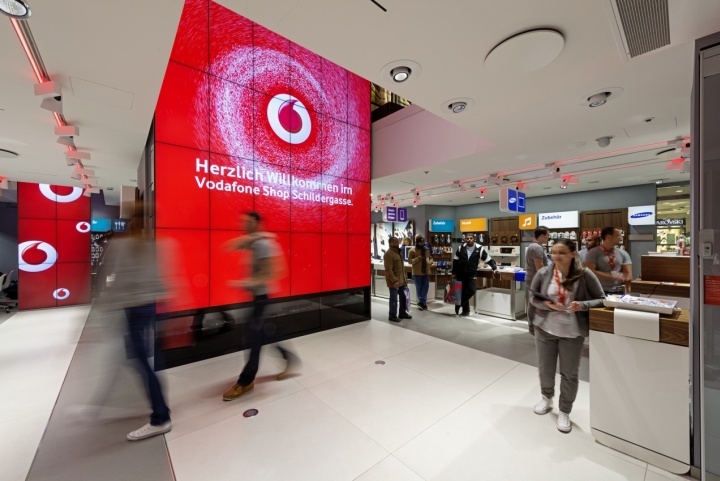 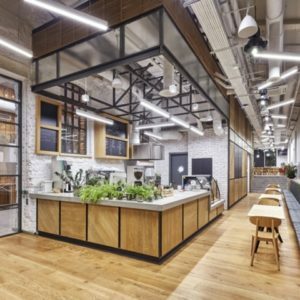 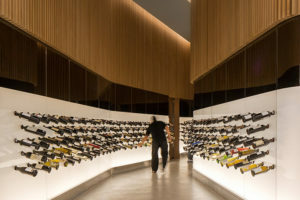 The combination of media surfaces, a customer focused retail system, and elements of communication build together the base for a modular system and its subsequent implementation in further shops, events and trade shows.